The United States Patent and Trademark office has issued U.S. patent 10,175,199 to Micro-Tracers for SECURtracers to positively identify drugs and food products. In a press release dated January 15th, David Eisenberg, president of Micro-Tracers Inc., stated “This novel patented proprietary technology offers an edible, covered, on-the-spot and effective authentication solution for fighting fakes within the pharmaceutical supply chain.” He added “We are confident that Micro-Tracers’ expanding intellectual property including the newly issued patent for SECURtracers will provide our products with a long-term market exclusivity”. SECURtracers will allow verification of a drug or food product using real-time field deployable testing which will address issues of counterfeiting, product recall and monitoring returns and product diversion. Micro-Tracers will seek potential commercialization of SECURtracers among U.S. pharmaceutical and food manufacturers. 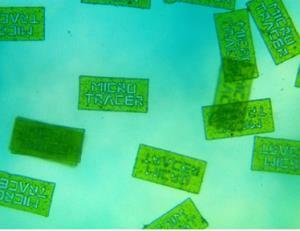 Micro-Tracers introduced a proven system of positively identifying additives in feeds in 1961. Their system is based on tracer particles with specific dyes. Microtracers are widely used by major animal feed supplement manufacturers to identify anticoccidials and other additives that may or may not be incorporated into specific batches of prepared feeds. A major egg production cooperative incorporating a patented additive in feeds for flocks producing their branded eggs has used a Micro-Tracer product in the proprietary premix as part of the quality control and audit program. The tracer particles in the SECURtracer system are magnetically attractable and carry micro markings and can be produced with food-grade materials suitable for ingestion by humans and animals. The SECURtracer system can be analyzed qualitatively or quantitatively. In an environment where increased regulatory oversight and threats of litigation exist, positive confirmation of the presence of an additive or its exclusion from a feed is an important component of quality control and security. Micro-Tracers will demonstrate a range of their products at Booth A2237 at the 2019 IPPE.